Major props to the team that assembled the program. It flowed nicely from one topic to the next. There were two sessions with a bit of a break in between. The sessions began with a case presentation and ended with a Q&A where all of the presenters were on the panel. 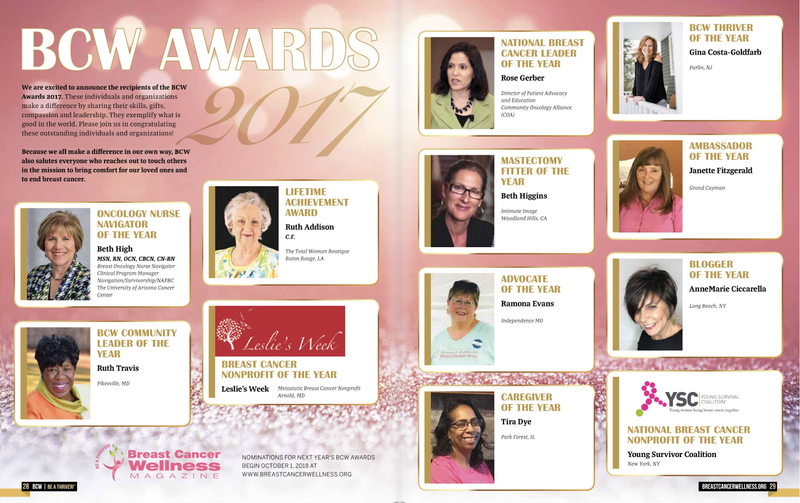 Columbia University Medical Center, home of the Herbert Irving Comprehensive Cancer Center which is one of just 39 NCI designated centers in the country was host for Breast Cancer Management 2013 on February 1. Yes, I know. In a 24 hour news cycle, this should have been posted days ago. I'm a learner, not a teacher. And I'm a sharer, NOT a member of the medical community. I'm sharing what I learned. It's most important to understand not all things are for all people and the best way to determine what's right for you? Do GOOD homework. Then, bring your questions to your doctor. A four inch stack of papers isn't really "good homework." If any of these topics speak to you, do a little investigating. The breast cancer website at Columbia is excellent. BreastMD.org I like the information on Johns Hopkins site, too. I know there are others but the most important point; when turning to the internet, turn to known and trusted sites. And now, the program topics with a few observations from the peanut gallery. Right out of the gate, I was fully immersed in the topic. I have wacky genetics going on in my own family. My mom has no known BRCA mutation on either BRCA 1 or 2. I have mutations of "unknown significance" on BOTH BRCA 1 and 2. What does that mean? Basically, I'm still a big question mark. Between 70 and 80 percent of all breast cancers are sporadic. No genetic link, no family history. Between 5 and 10 percent have BRCA mutations and then, there's my situation. A family cluster is identified in 15 to 20 percent of breast cancer patients. The biggest take away from this very complex topic is that we must learn how to properly assess our true risk factors. We should all adopt healthy lifestyles but no matter what we do, we can not prevent breast cancer. Those in high risk categories might consider using tamoxifen (most women decline). Preventive mastectomy can reduce risk by more than 90%. Oophorectomies can reduce risk by about 50%. This is about choice and it's not up to any one of us to tell any of the rest of us what we should or should not be doing. I am not qualified on any level to explain anything that Dr. Santella presented. She was brilliant and her explanation of epigenetics was easy to understand. Bottom line. You HAD to be there. Cancer is the result of damage to our DNA. How does the environment alter our DNA and turn on and off the genes that should be fighting cancer cells? That is a gross oversimplification of her presentation but this truly is one of those, You Had To Be There moments. There have been a number of environmental studies including one on Long Island in 1996 that is often cited by researchers. I'd like to scream every time I hear, "It's in the water" -- Possibly, but it's not that simple. Dr. Wynn discussed a number of circumstances under which MRI might be suggested and then explained the pros and cons in each situation. Strictly from a personal point of view, the presentation about its use as a diagnostic tool was of utmost importance. My friend is in need of an MRI and when my daughter begins screening, the breast surgeon already indicated that would be her image of choice. The new American Cancer Society guidelines leave the question of MRI unanswered for many: "Insufficient evidence to recommend for or against MRI screening" under specific circumstances which, in patient language, means get the gloves on and prepare for a fight with the insurance company (or, in the case of my friend, her doctor). Included on the "you're on your own list" ..... extremely dense breasts. Is "extremely" in the eye of the beholder or is there a measurement? MRI is a very grey area (yes, pun intended). One thing is certain, I do believe I'm scheduled for one this year to check the integrity of my implants. They've been a part of me for almost six years already. It's time for a peek. And probably a fight with my insurance company, too. Lumpectomy, mastectomy and oncoplastic surgery were all discussed. I was most interested in the latter of the three. I knew very little about the procedure. Oncoplastic surgery is referred to as a third pathway between lumpectomy and mastectomy. In some cases, breast conserving surgery can leave a less than pleasing cosmetic outcome. Oncoplastic surgery is the "rearranging" of breast tissue to fill in the holes. It involves a breast lift and often a reduction in the opposite breast. Again, an oversimplification but this is an option in a specific population. Very important to reiterate: Not all options are beneficial or the best course of actions for all patients. That is the best case I can make for "Patients as partners" .... We bring our concerns and questions to the table and the clinician helps guide us through our available options. Surgical intervention for lymphedema was also discussed and I can see some jumping up and down. I hesitate to even mention this because I don't have answers. Dr. Sheldon Feldman is at the forefront of this procedure. Best if I provide a the link to the page at Columbia where this is explained in detail. It can be found here. Dr. Chen presented a broad spectrum of topics related to the surgical interventions associated with early stage patients. She discussed an analysis of almost 15,000 women with regard to margins and recurrence. There was no difference in recurrence rates whether margins were clear at 1 mm, 2mm or 5mm. And now what? Surgery is over and treatment choices must be made. This is where personalized medicine comes into play and this is truly where one size does NOT fit all. It's about many things and all factors are taken into consideration. Fortunately, the arsenal of tools to help guide decisions continues to grow. Size, grade and tumor type are important. Tumor analysis via tests like Onco-Dx and MammaPrint are taken into consideration. The use of Adjuvant! Online by our doctors to help determine the risk/reward of different treatments is yet another tool. (The Adjuvant link is to a Forbes article that I felt was misleading and I shared those thoughts in a comment). Did you remember to take your ________ (insert drug of choice: tamoxifen, femara, arimidex, etc) today? Dr. Hershman did an eye opening presentation on "compliance" also known as "Don't forget your pills!" Except, it wasn't only about forgetting to take the pills. She talked about side effects and the many reasons some choose to discontinue treatment. We all know about femara flashes and that some find tamoxifen intolerable. Endocrine disruptors can cause joint pain, bone loss, endometrial problems as serious as cancer. That's where the risk/benefit conversation is essential and unique to each patient. No cookie cutter answer. No one size fits all. What bothered me most? Learning about those who cut their pills so they last twice as long (likely rendering them ineffective) or those who can't afford to pay for their prescriptions. THAT bothered me most. Text reminders and auto refills can address the forgetfulness. Who is addressing the disparity? That was my own commentary. Dr. Hershman presented the facts. It's up to us to find a way to address those realities. There are many things happening in the area of radiation oncology. The studies presented in San Antonio about new standards of care established in the UK were discussed by Dr. Connolly. It seems possible in patients whose disease fits within the guidelines, that a higher daily dose of radiation spread over three weeks may be as effective as the current five week course being administered. She shared her thoughts on intra-operative radiation (it's delivered during lumpectomy and it's another STAY tuned item). We saw when it would be appropriate for a patient to be on her stomach for radiation therapy and when it should not be done. Of particular interest to me was watching the steps taken to protect other organs and tissues, most importantly, the heart. Dr. Greenlee went through all of the things we can do to maintain healthy lifestyles. Exercise, maintaining good weight, eating properly. A glass of wine a day doesn't mean you can accumulate 5 days and get smashed on the weekend. That drew a laugh. What struck me most (and I hope I'm recalling the proper statistic), approximately one third of all cancers of every type can be prevented by behavior. Said another way, 65% of all cancer diagnoses are a crap shoot. The (un)luck of the draw. Pulling the short straw. Sidebar commentary, this is why research is imperative. By far, Dr. Maurer's presentation was the one that mattered most. His topic was highly personal. His presentation was also quite complex and hands down, the most colorful (literally.... his slides were bursting with color). He provided information regarding present treatment options available for metastatic breast cancer. He talked about dormancy. What makes a cell go rogue? Are there possible prognostic indicators? And then, he presented the slide that created the loudest buzz in San Antonio. Lori and I were beside each other for that presentation. Frankly, we were both surprised there wasn't more of a splash at SABCS. It's a drug that is going into a Phase III trial. I believe it's opening next month. For comparison, many new studies show a gain of 4 or 5 months before progression (or whatever outcome is being measured). This drug, developed by Pfizer, appears to be a game changer. Progression free survival went from 7.5 months to just over 26 months. THAT'S progress. Picking up a year and a half is big news. It's big enough that Pfizer may seek a fast tracked FDA approval. And, Columbia is slated to be one of the centers involved in the trial. Another Stay Tuned...... This is one to watch. Dr. Levenson's presentation addressed many aspects of psychosocial issues. He talked about different medications used to control pain and how some of the side effects might be managed. Palliative care was discussed. In addition, NCI is funding a study being conducted at Columbia for treatment of major depression in breast cancer patients. The study includes patients at early stage and through to those with advanced disease. It is still open. In fact, it happens to be a study that Army of Women is trying to help fill. As a staunch supporter of Dr. Susan Love and a volunteer.....I would say that's what we call "full circle!" The day ended with a lovely dinner with Luana from You Can Thrive. We met at an Avon event and we were in San Antonio together. The caveat is that 23andMe's own reports aren't quite so useful. 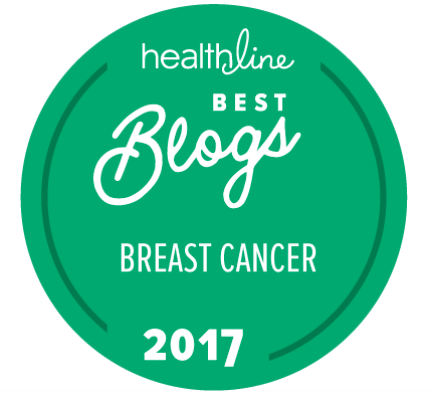 Just a few short weeks before I was diagnosed, my 23andMe report told me I have decreased risk for breast cancer. It was only after I found SNPedia and started to analyze my own raw data that I realized my risk was a whole lot higher than it seemed. And we still do not know all the snps that contribute to breast cancer, which is why I'm a little concerned about the marketing of these specialized tests at premium prices. By the time we do have more data, we will probably also have $1000 genome sequencing, so it seems to me that these companies are taking advantage of a window that will not stay open for very long. People are spending a small fortune on tests that may not help them, when nearly all the same information is available for $99 at 23andMe. More Stay Tuned..... I know Myriad is finally going to the Supreme Court. I do believe they are going to lose their gene patent and many things will begin to happen to open up the market. Thank you for sharing that link with me. I'm going to make sure it's bookmarked or attached on my info links page. I love what 23andme is doing. I am going to discuss with the genetics counselor/docs. I need as much info as I can get my hands on. In my own case, the question seem not to be IF there is an inherited gene mutation but actually finding it. I've done all of the risk reducing surgeries but among my mom and we three sisters, there are three primary breast cancer diagnoses, all before 50, all pre-menopausal. Then, mom was diagnosed with a 2nd primary in the other breast precisely 20 years later. My unaffected sister has already had two biopsies in the same area. The first one was hyperplasia bordering on DCIS. None of this bodes well for my daughter which is why I would want to know as soon as the information is available. I have a sense of urgency because my daughter is in her 20's. Ann Marie, So much info here. Wow. Of course, I headed right to the genetics topic. I had not even heard of this BreastNext test. There are too many families (like yours) where things seem to going on, but still the brca test comes back negative. I completely understand your sense of urgency... Thanks for all the great resources. A woman under 55 gets breast cancer in one breast. 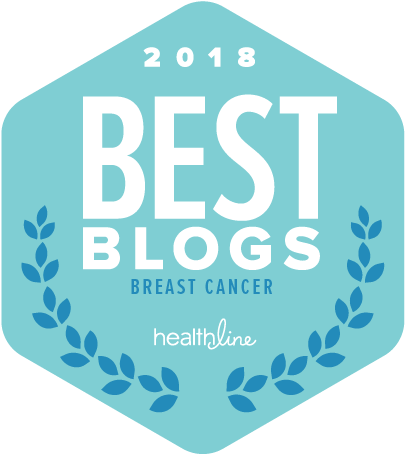 Over the course of the following ten years, that under 55 year old's chance of developing cancer in the "good breast" is as high as if there were a BRCA mutation. Sorry I've been out of the loop with everyone. I feel like a hamster in a wheel. Thanks for sharing this summary and your thoughts on the wide range of topics covered in what sounds like an excellent program. I too am following especially closely developments related to true understanding of risk and epigenetics, and am reading the "Breast Cancer and the Environment" report with great interest. Maybe a "book club" to tackle that report?? I'm sure I will read it many many MANY times before I absorb just half of what they recommend. The program really was excellent. I had every intention of live tweeting throughout but I knew I'd miss important points if I didn't just listen to everything. great reporting and observations you have shared. i will be revisiting this post over and over to examine the information (especially the research by dr. regina santella) as i continue my quest to try to understand the the implications of HER+ status, and what triggers the over amplification of HER resulting in tumor growth. i am extremely interested to know how traumatic injury to breast tissue may play a role. and that will just be scratching the surface! so much information to dive into! you, too, must be chomping at the bit to further explore the plethora of material that was presented. thank you so much for all the time and effort you have spent on this post, and for being an ever-present advocate for all of us. Dr. Santella's presentation was fabulous. I wish I had the brainpower to recall what she spoke about in greater detail. BUT, now that we have access to JCO, I'll bet searching the journal for Methylation will turn up the studies she used as the basis for some of the presentation. Traumatic injury to the breast is another topic worthy of explanation. One more I found fascinating was the wound fluid left behind post lumpectomy and how that may play into a recurrence (that was from San Antonio). I think I love this science stuff. I am very glad I attended this event! Hi AnneMarie I just wrote a full comment and hit publish and it disappeared. Where did it go? I am so glad you attended this event. I was fascinated by the gene patent information as I had not heard about it. 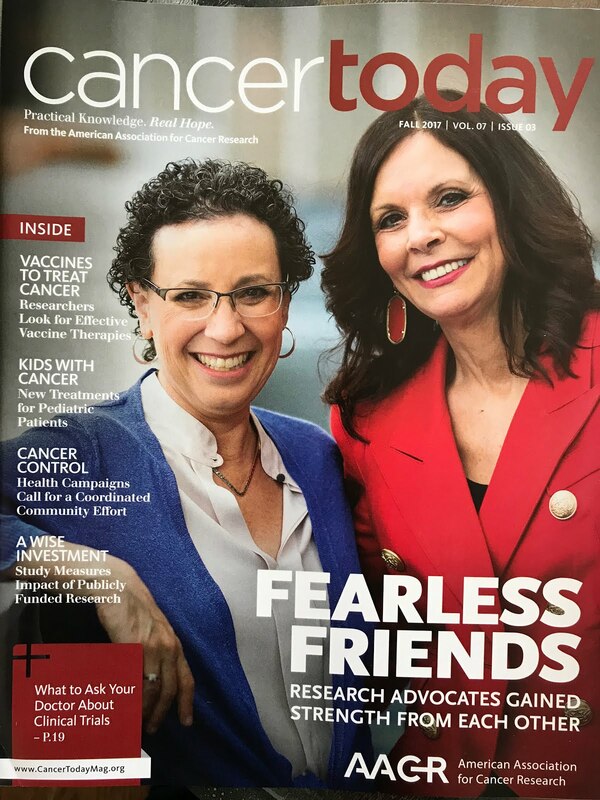 I have always suspected they would come up with more genes especially since I know so many people with many members of their family having breast cancer (like you) and since they are BRAC1 and BRAC2 negative, I am encouraged they are finding more genes. I am hoping that Myriad loses with the Supreme Court but I was discouraged that on Friday an Australian federal court judge ruled that a U.S. biotech company was within its rights to hold Australian patent 686004 which is BRAC1. I was also very impressed with the numbers from Dr. Maurer, for women with ER+ Her2neu MBC, that the combination of letrozole and PD 0332991 went from 7.5 months PFS to 26.1 months PFS, which is statistically very significant. I wish there were more results like this and I will be very interested to see the Phase III trial with this drug. Great job AnneMarie. Thanks! Hope this goes through! Thanks.... Lori and I saw PD991 presentation at SABCS. I remember both of us looking to the other to check if we heard those numbers correctly. Ultimately, the woman sitting in front of us turned to join in the conversation. Frankly, I felt the whole room should have stood up and applauded!! Re: Myriad.... Here's my two cents. You heard it here first. I DO BELIVE the SCOTUS is going to overturn the patent. I've said it for months. When the high court refused to hear the case, it was because it kicked it back to the lower court. Basically, I feel they tipped their hand. It was like the Supreme Court was telling the lower court, "recheck your work" ..... When the lower court didn't overturn its own decision, it was brought back by the attorneys to the Supreme Court who agreed to hear the case. I'm ***almost**** ready to cue the confetti on this one. I just wonder what it will mean in Australia if the US does overturn.... Fingers crossed there!! !